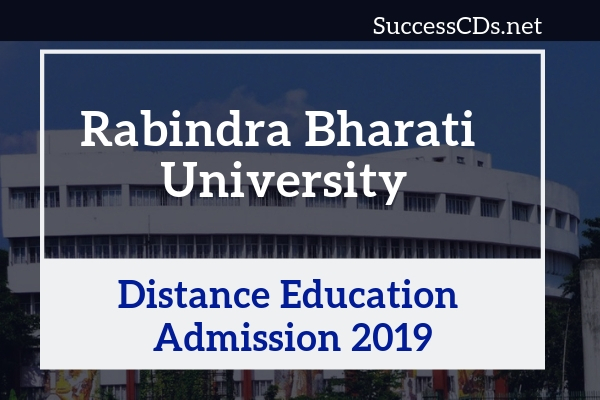 Rabindra Bharati University Distance Education MA Admission 2019 - Rabindra Bharti University (RBU) Kolkata invites applications for admission to the following Courses of Study (session 2019-20) offered by the University through Distance Mode. Eligibility: Honors/General/Pass 10+2+3 in Education having 300 marks in Graduate Level/B.Ed or Special B.Ed. The admission process would be online. Candidates seeking admission to DDE, RBU should visit the website www.rbudde.in and click “For online application form fill up for admission"